When you need high-quality medical care, you don’t have to wait weeks for an appointment. At Van Nuys Urgent Care Family Medicine, simply walk-in or you can schedule an appointment in advance. You’ll be seen quickly and efficiently, while still receiving the attention and care you deserve. Whether you’re suffering from a migraine, cough, cold, urinary tract infection, a chronic condition like diabetes, or want to better manage your weight or pain, Van Nuys Urgent Care Family Medicine can treat all of your healthcare needs. Van Nuys Urgent Care Family Medicine offers quick, convenient and comprehensive access to medical care for non-emergency conditions, so you don’t have to wait to feel better. Some chronic health conditions like diabetes might also require urgent medical care. These symptoms require immediate attention because they can indicate life-threatening health problems. When you’re experiencing a medical emergency, call 911 or go to the emergency room immediately. What care is offered at Urgent Care appointments? Van Nuys Urgent Care Family Medicine offers a full range of quality healthcare services. 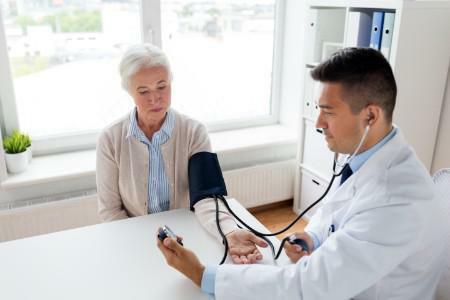 Our expert clinic staff is able to detect medical conditions early but also to provide expert preventive medical care and management for chronic conditions to improve your overall well-being. During your visit, your caregiver works to diagnose and treat your medical condition. The clinic uses state-of-the-art technology, including digital X-rays and a lab on-site to analyze bloodwork, to assist your doctor in making a quick and accurate diagnosis so they can outline the best course of treatment. At Van Nuys Urgent Care Family Medicine, appointments are never rushed. When your caregiver diagnoses your condition, they take the time to explain it clearly so you can play an active role in your treatment.